This is Pam @ The Bug Bytes. Today's my turn at designing at Sassylady. 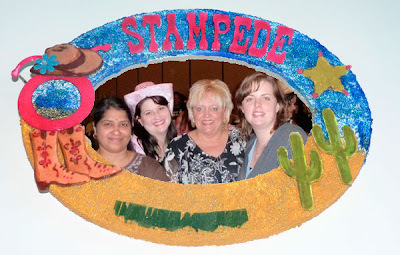 Thank you Sheila for having me as a designer at your blog. I love this idea of designing at another blog for then seeing that deadline date you create more. Too many and you will be stressed for sure but a couple of spots and yes you get inspired to create something! Well this time instead of sharing something freshly created I wanted to share with you a small altered frame which I made as gifts during stampede to give to my table mates - so that they we could all put our stampede pictures in it. Now you can easily adapt this to give small gifts like teacher's appreciation or any event. Just change the die cuts and lol behold you will have a simple gift. 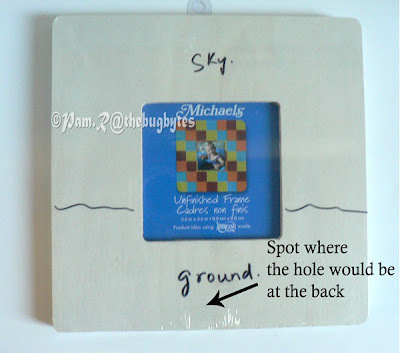 Unfinished wooden frame which has a bit of space on the outside frame part of it so that you can decorate. I got mine at Michael's for a dollar. But this had no glass. So if you want one with glass you might have to spend a bit more. & yourself of course . A table covered with a disposable sheet or newspaper would be nice too and adequate lighting ;). The gesso and gel medium do not smell that bad but if you are too sensitive you might want to step outside while doing the project. Ok - I'll quit horsing around and get onto the project. With this supply first go and get your die cuts cut out and colored and ready. Do not apply glossy accents at this stage. 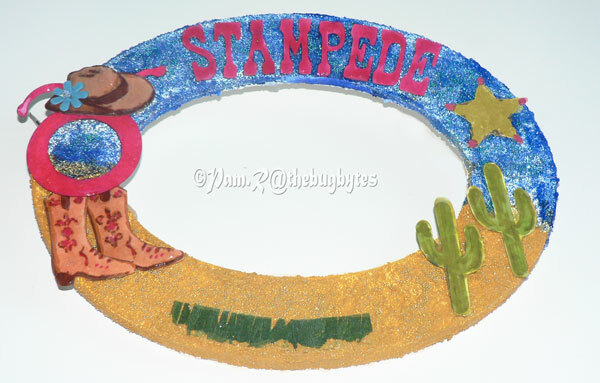 You can but the die cuts tend to curl up and you will be wasting additional time. 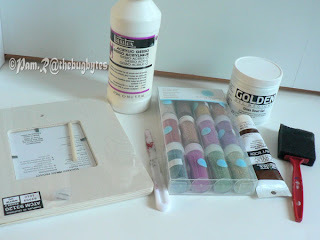 Then grab the supplies - plate, gesso, acrylic paints - I have used colors- yellow ochre, ultramarine or cobalt blue (not shown here) and burnt sienna, then your glass bead and MS glass beads for additional zing! and of course cover your work area and grab a container with water and a disposable plate to mix and some brush sponge and palette knife. Mark on the reverse side in pencil if you need it. Again I have used a sharpie for demo and not taken out the plastic wrap. 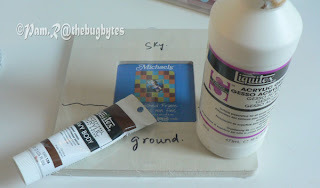 Then take a plate and add Gesso and ground color and prime the ground area with the sponge. Gesso is already thin so tube paints are preferable. You need not prime with white in the front. 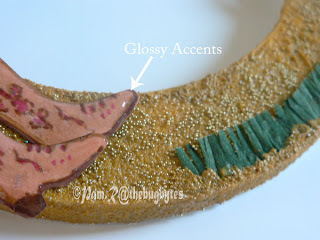 The gel medium is glossy and the white will show up ugly otherwise through the gaps. 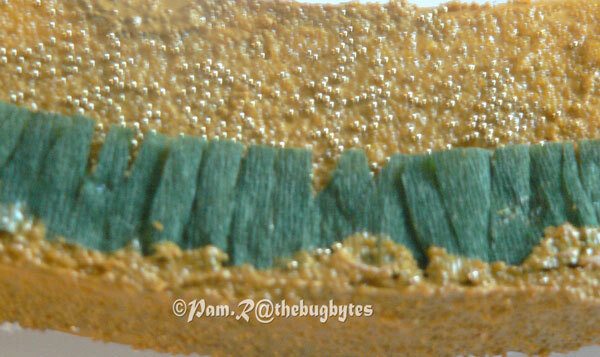 Clean your brush and prime the top with sky color mixed to the gesso. Keep the extra ground and sky color - do not dispose. 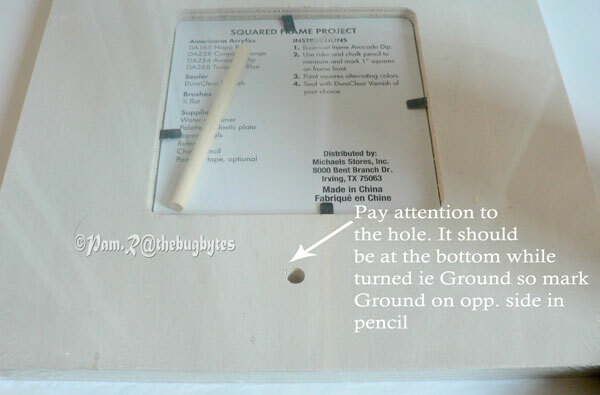 Apply on sides and the inside frames. Leave the back alone we can later prime it after the project is done. The gesso dries up pretty fast and need not completely dry before proceeding to next stage. 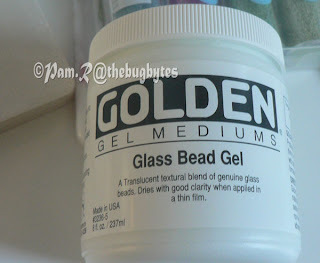 While they are wet add more Martha Stewart glass beads in the appropriate color as the regular gel is just colorless beads. When it is wet also adhere the diecut pieces and embellishments. 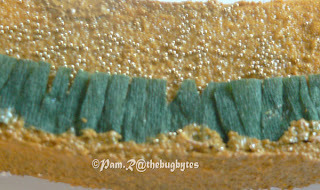 You can add more mixed medium to embed the grass etc. Just place them and slightly push them in and they get attached when dry. You do not need additional glue. Carefully also apply glossy accents on it if needed. So you save time and all the stuff can dry together. Change the background and decor and alter your own frame. 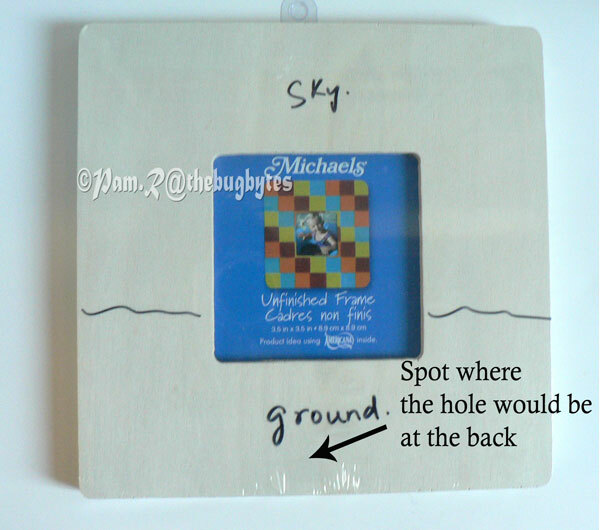 You can also play with different textures in the different acrylic mediums and also maybe add a cotton swab for clouds etc. Hope you enjoyed this small project. Thanks for reading . If you do take the time to comment - Thank you lots more :) as I love reading your encouraging words. And Thanks Sheila for having me on at your blog. Have a great weekend. To the Mom's out there - Happy Mother's Day. Pam I just love this frame it is awesome. Thank you for sharing your awesome design and tutorial with us today at Shes A Sassy Lady. Saw this over at Sheila's!! Love the frame and the picture! !